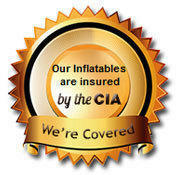 Hot Air Balloon Bounce House Rentals | BounceGeeks.com Richmond, VA.
You can bounce high in this Hot Air Balloon! 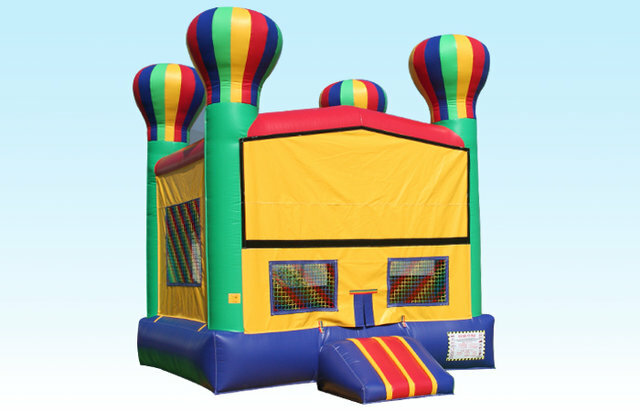 Let your fantasy fly high while you "get some air" by bouncing in our brand new hot air balloon bouncer! The jumper has mesh windows, so parents can have a clear view of all the fun inside. There is also a basketball hoop inside for double the fun! 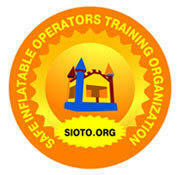 Promote healthy activity and safe jumping in this favorite style of bounce house. Banners can be added to create a variety of themes too! Price is for standard 4 hour rental. If you want to party longer, you can have the whole day for only 20% more!